Spot rate denotes the market price of one currency with respect to another.All currencies’ spot rates against the US dollarare basic spot rates, and the remainder are cross rates. 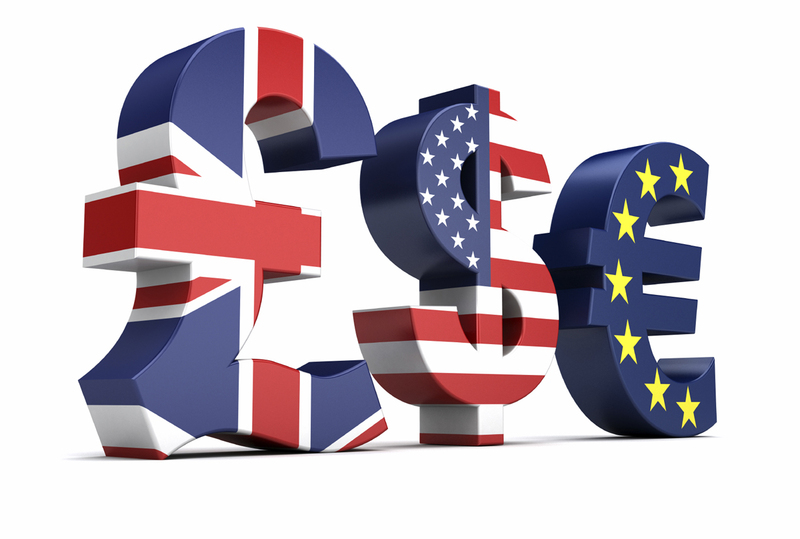 Major currencies include USD, EUR, GBP, CHF and JPY. The difference between the “buy” and the “sell” values of a pair is termed spread. By purchasing a currency, a trader is simultaneously selling the other one in the forex pair. The spot date is the normal date of settlement for a today’s transaction. The processing and implementation of all transactions takes two business days, as countries whose currencies are involved may need to be synchronized because of different time zones. Saturday and Sunday, as well as official country holidays, cannot be spot dates. Deals can be negotiated with a value date preceding the spot date. The exchange rate in this case is different from the spot date’s exchange rate due to countries’ different interest rates. On each country’s forex market, the local currency is directly or indirectly quoted against the US dollar and against other foreign currencies. The direct quote is the local currency amount necessary for buying one foreign currency unit, and the local currency amount received when that unit is sold. The indirect quote is the foreign currency amount needed to buy one local currency unit. In a forex pair, the first currency is the basic one and the second is the quoted currency. For example, in USD/CHF, the USD is the basic currency, whereas the CHF is the quoted one. Cross rates are non-US dollar currency pairs. They can be derived from major currency pairs and have to be consistent with all currencies; otherwise it will be possible to make risk free profit. The latter is termed “arbitrage”. Major forex pairs are sometimes affected by cross exchange rates. For instance, the GBP/USD rate is often impacted by EUR/GBP. If the latter rises, everything else being equal, the GBP/USD will fall, and vice versa. In most cases, currencies are quoted with four digits after the decimal point; a pip is 1/10,000 of the currency unit. The figures are the two digits after the decimal point. Things are different, however, when the quoted currency is the Japanese yen, and that is due to the high denomination of the latter against other major currencies. EUR/JPY is currently quoted at 103.67. You note that the digits after the decimal point are two only. In this case, one pip is 1/100 of a yen, so the two digits after the decimal are pip values. On the forex market, traders are aiming at generating profits from their positions, by the means of buying and selling currencies. When a bought currency’s value rises, and a trader closes the position, he makes a profit. A forex position is commitment to a specific currency. It can be flat (hedged), when no risk exposure is present; long if more currency has been bought than sold; and short in the opposite case. Exchange rates are impacted by economic and political conditions, e.g. interest rates, inflation, political stability, etc. Those can result in high volatility on the market. Single participants cannot affect the forex market owing to its vast scope. A limit order is a pending buy or sell order placed at a certain price; it is executed at the specified price or better. Limits allow traders to choose the time period which their order is open for. As the limit is not a market order, there is always the possibility of it not being executed if the placement price is not reached during the time which the order is outstanding for. Depending on whether the limit is for buying or selling, it guarantees that an investor does not buy a financial instrument above the specified price or sell a financial instrument for a price lower than the placement price of the order. A stop order is a pending order to buy or sell a financial instrument at a certain price. Once the specified price is reached, the stop becomes a market order and is executed at the first available price. Stops execution does not always happen at the specified price, but they still give traders the chance to limit their loss or to lock in some profit. Sometimes, for example, stocks open with big gaps up or down which could result in execution at a price significantly different from placement price. In short, limit orders are executed at the specified price or better, whereas stops are executed at market price (that could be the placement price or worse). This is one of the most significant factors for a currency as it is indicative of a country’s economic and financial conditions. A country experiencing a deficithas to sell lots of its currency to pay for imports. Deficits in the balance of payments frequently cause the national currency depreciation against others. Inflation is crucial for exchange rates. When a country’s inflation rate increases, its currency value declines, and vice versa. Countries having higher real interest rates typically have their currencies’ exchange rate rising.This happens due to the increased demand for those countries’ money as investors always look for assets yielding higher returns. A central bank sometimes intervenes if it decides the country’s currency declines too fast relative to key currencies. In this situation, it may start selling foreign currencies and buy the national one to restore stability. The opposite is also possible; in this case a central bank will start selling the national currency in exchange for foreign. Central bank’s interventions tend to be temporary and aim at establishing equilibrium. In forex, buying a currency is being “long” with respect to it; selling it is being “short” in the currency. Owing to currency transactions symmetry, participants are always long in one currency, and short in the other one in the pair, at the same time. An open position’s value fluctuates relative to market movement, with potential profits and losses reflected in a client’s trading account. Closing out a position means placing equal and opposite trade on the same forex pair. Both opening and closing out have to be done with the same broker.